Bowmore doesn’t always please the enthusiasts. Aside from the house style (not everyone’s cup of tea), they are also frequent offenders with regards to chill-filtration, caramel-colouring, and low abvs (the horror!). But there are a few alternatives out there, and you don’t need to run to the IB’s. Aside from some mild colourant, this one is on the level. A 10 year old first-fill bourbon-matured Bowmore at 55.1%. Cool. Here's my take on batch IV. Nose: Pretty direct and punchy. Honey, peat, vanilla, leather, brine, banana, lemon zest, heather, hay, and white pepper. Musty. Palate: Richly textured. Again, very punchy. Big honey, vanilla, and grass. Smoke, peat, leather, lemon lozenges, and earth. Finish: A long, steady finish. Rich, creamy vanilla, banana, honey, ginger, musty leather, lemon lozenges, brine, white pepper, paprika, and a biting grassy note. Thoughts: It’s not charming, but it is rugged and honest, and it’s consistent from nose to finish. Nice to have a Bowmore that’s cask strength and non chill-filtered. Yes, it has some sharp edges, but it’s a welcome escape from the standard Bowmores. This is a bigger whisky, with a honeyed sweetness and a musty, punchy profile replacing the customary fruity finish or heavy oak influence. At least we’ve still got all that leather. Powerful stuff, and yes, kind of crude. Good, though. Sounds like a step in the right direction from Bowmore. Perhaps if it sells well they may review their range. So far, every release of Tempest was good (ok, I have not tasted all of them). The first release has even become something of a collector’s item (yep, I have it in my collection too). Batch 6 will be released soon, but I am trying batch 3 today, bottled in 2011. This sample had been sitting on my desk for way too long. The nose is fairly sweet and fresh, with loads of mint. The smoke is somewhat understated, to be honest. Only with the second whiff do I get some see air and lime. I also get some marzipan – rather unexpected. A drop of oyster sap versus coconut milk, something I did not detect in the other releases I have tried. In fact, it turns suspiciously sweet. White chocolate? Anyway, I quite like it. With water it becomes more creamy and more peaty. A good thing. It is oily on the palate, but the sweetness now has to bow to the salt and smoke. Yep, the peat is very outspoken. The whisky is quite spicy. Citrus emerges, mint disappears. Boy, this is a powerful fellow. Diluted is becomes almost creamy and sweeter again, but I also get more peat. Well, more of everything, so what is not to like? The finish is long with some medicinal touches. Citrus fruit at the death. A bit less than the first release, but better than the fourth. All together, the Tempest remains a great Bowmore release. It's been a month since my last review. Not that I was short of any whiskies to drink. Far from it. It's just that I like to take an alcohol sabbatical once every year just to take a break and replenish my self both physically and mentally. My first two weeks go by in a flash and I barely even think about what I've given up. In the third week I start preparing for all the expressions I'm going to be tasting once the month is up. By the fourth I can't wait to get back to doing what I love the most. And so it's really important that I pick a solid expression that I know for sure will not disappoint. There's nothing like waiting for something for such a long time and discovering it tastes like piss. I hate that. So I decided to pick the latest Bowmore Tempest Batch 5 as my first whisky of the new season. Because I figured if it's anything like the last batch it was going to be cracking. Matured for ten years in Bowmores' legendary No1 Vault in first-fill bourbon barrels this is allegedly a small batch release. I say allegedly because I don't know how many bottles make up a small batch. I think anything under 6000 should be small. I think. Nose: Quite lovely. Very fresh. It's sweet, almost winey. Like a tart chardonnay. Mixed with a lot of bright lime juice and mild vanilla extract. Dark cocoa tossed in coarse sea salt and crushed cornflakes. Cinnamon sprinkled on juicy nectarines. This is a great series by Bowmore (who I'm increasingly beginning to like) that is nurtured well and executed with amazing skill. @Frost, in this case, by 'air-exposed', I was referring to time after having opened the bottle. This review was from a decanted sample, which was stored in a small sample vial for a period of months before I re-tasted it. There wasn't much air in the sample bottle, but I've found that these small sample containers seem to behave as though they've had a little more air exposure, even when the air column is very small. Maybe it is partially because they have been jostled in transit from place to place. I do believe that shaking of the whisky has some definite, though very difficult to quantify, effects on whisky. In this case the reviewed sample tasted significantly more air-exposed than did the sample from the same bottle I had before having taken the sample. To answer your question, I like Bowmore Tempest under a variety of evolutionary states, new-ish bottle opened, and more opened. In this case, I did not observe the whisky over much time in the glass after pouring the sample. It is a very enjoyable whisky in my book. If you have a bottle of your own you will likely enjoy the exploration of it. "Inoffensive and generally enjoyable, but never top favourites of mine." I think that's representative of many people's attitudes towards Bowmore, myself included. But I'll usually come to its defense, as I feel it fills a certain niche flavour-wise. I'm a fan of this one as well. Currently working on batch #4. So far our notes are quite aligned. Thanks, @Victor. I have a funny history with Bowmore. I don't consider them one of the greats because they tend to cut loose some questionable expressions every now and then. But my friend Nitin is infatuated with them and so I don't lose faith entirely. And for that I'm glad because this bottling of Bowmore is possibly one of the best expressions from the distillery I have ever tasted! The nose is full of coastal sea air with mild peaty overtones. Water chestnuts dipped in caramel, seasoned with clove and liberally sprinkled with salty grewia (falsa in my language) make for one of the more wonderful noses I have come across of late. Let it open up and there emerges maple syrup on pancake covered in dark berries. The palate is intense marmalade cooked in dark honey lathered on top of chocolate fudge and sprinkled with a decadent dash of expensive cinnamon. I can hardly tell this is 56% ABV. The finish is long and dreamy with a brown sugar espresso steeped in clove. This is one of my very favourite Bowmores too. Great stuff. Thanks for your review, tabarakRazvi. Picked this particular bottle up from the international beer shop in Perth after poking my head in for a look because of a certain member of this esteemed community who does the whisky ordering there. Nose(22): First impression is flambé oranges. Underneath this and with a few minutes in the glass a refined coastal peat begins to shine through followed by barley sugars. And a slight hint of honey. Palate(23): this really is everything the nose promised bought to life, orange citrus cuts through followed by a rich yet refined coastal peat. Amazing mouthfeel, extremely oily and that barely sugar underlies it all. For a cask. Strength whisky this is very easy to drink whilst providing a nice intensity at the same time. Finish(23): love this finish, the flavour disappears altogether for about two seconds and then a wave of smoke and gentle peat rolls over my mouth coating everything. 2 minutes later the flavour is still there and as the smoke and peat subside the citrus just lingers on. Balance(23): from Nose to Finish this is a flavour combination all in tune that works beautifully. I haven't done an extensive scan through the reviews of the various batches, but from what i've heard this whisky has improved over it's course, so i would go for batch 4, or is it 5 now? Very good review, thanx! This is the latest Tempest - Batch 4. With a few drops of water from the start. On the nose I detect honey the strongest. This is followed by a sharp lemony edge with peaty-smokiness underneath. I find these are the three trademark staple Bowmore flavours - in this case I'd say the honey dominates the most. I do also get a touch of vanilla and even slight spice as it opens up. I'm again finding that honey dominates the palate and with a texture and mouthfeel almost to match. Citrus flavours, especially lemon are there but I occasionally find an orangey edge. The smokiness ebbs and flows - sometimes it leaps to the front and others it's way back in the background. It's a barbecued charcoal type of smokiness - like charcoal grilling citrus peel. Smooth vanilla sometimes makes itself known but subtley. The medium finish is smooth and sweetish - smokiness is not as apparent here as on other Bowmores, (I'm thinking 15 Darkest). It's a straight-down-the-line cask strength Bowmore. Non-chill filtered which is good. Doesn't mention anything about lack of caramel however, (so I don't know either way with this one). I love Bowmore but they are one of the worst culprits for adding caramel - if they could get out of that habit their whiskies could be as close to perfection as possible for me. Regardless, this is still a very enjoyable whisky. I don’t know that I’ve ever had a whisky so balanced between the peat and the sweet. It’s not perfection and nirvana in a bottle, although it’s impressive that the juxtaposition of these flavors works so well. It would probably be an even better dram were it aged a couple more years, but cask strength always helps to compensate for callow youth. Notes based on about the fifth dram from a month-old bottle. For all you burly John Wayne types who like the strong stuff neat, please try at least one dram of the Tempest with a teaspoon of water to unlock the full flavor potential. Nose: Almost too bold and stinging at first, but after a couple of minutes it goes back and forth between lemony peat and smoky, barbecue peat. Maybe one of the most active noses I’ve sampled, in that there’s something new with every whiff. Oysters and oranges after another few minutes. Pepper, vanilla, and cigars after a few more. An extra-long wait of, say, 20 minutes or more reveals leather, grass, apples, and caramel. Peat and bourbon oak remain constant throughout. A five-star nose all the way. Palate: Much more one-dimensional than the nose, but I’m not complaining…much. Lots of booze bite at first, even with water. Mostly the same peat profile as on the nose, plus loads of creamy vanilla. Too long on the tongue, however, and some uncomplimentary bitter fruits (over-ripe cherries in particular) emerge, so it takes a sip or two to get the timing just right. This is also the stage wherein the Tempest reveals its immaturity. Another couple of years in the cask might result in something less rough but equally assertive. Finish: Medium length, a little drying, but not bad. Peat, lemons, saltine crackers, and maybe a touch of canned mixed vegetables. Loud and bold while it lasts. Each stage of the experience—from nose to palate to finish—may go downhill a bit, but the Tempest remains tempting all through the journey. It may not be “such stuff as dreams are made on,” as Shakespeare said in The Tempest, but it’s good for at least a reverie or two. Interesting review. I tried this a few months ago and got most of the flavours you mention, (although don't recall too much vanilla). Definitely needs water and a bit of breathing time. I do remember when I first sipped it being somewhat disappointed but with time and adjusting expectations I grew to really like this. I think where my opinion differs is that I like the fact that this is Bowmore at its most honest 'in-your-face' expression - so I quite like the youthful fieriness of it. I think extra maturation would mellow it a bit too much, (and there's already 12yo, 15yo darkest and 18yo in the core range so this gives something unique). Hope to try Tempest Batch 4 soon. @Nemesis101 - I wouldn't want to diminish the fire, certainly. I'd just like a little more unity and a little less separation among the many flavors, and a little extra cask time can often help achieve this. But yours is a valid point. More time can also tame things too much, so maybe 10 years is just right for maximum impact. Tameness seems to be a gripe about the 12 yo among some Connosr members, but that probably has more to do with the 40% ABV than age. The Bowmore Tempest is slowly but surely becoming something of a legendary bottling, the first batch in particular. I tasted it at a whiskydinner two years ago, as well at batch 04 at a recent festival. But it would seem that I had not yet published any notes on the first batch, that was quite affordable at the time, around 45 EUR in 2009. The nose is surprisingly sweet on lemon, oranges, pineapple, peach, vanilla custard and some flowers. The typical maritime elements, including a wonderful smokiness, work supportive rather than overwhelming. Very clean. Absolutely marvellous. Citrus is the first thing that stands out on the nose, but it is immediately followed by the maritime notes and the peat takes control. Hefty spices and big peat. Quite a big dose of salt and oak rears its head. Nutmeg and ginger are present. But the whole is perfectly balanced. It is slightly creamy and mouth coating. The finish is long and smoky, with a good balance between sweet and salt. Legendary indeed, for such a young malt! Before I knew it, I had finished my final drop before adding any water. The first batch will already fetch between 55 and 70 EUR. Good thing I had put aside an extra bottle when I did! The Bowmore Tempest Batch 1 is something of a cult whisky and hence a collectors item. By now, three new batches have been released. This 4th batch, just out, matured on first fill bourbon barrels and costs quite a bit more than the original (around 45 EUR at the time). At La Maison du Whisky you will need to cough up 70 EUR for it. Oh, well, that is another discussion. Time to taste! I get quite a lot of fruit on the fresh nose: pear, oranges, mandarin, but also nectarin. Upholstered with lime zeste and hay. Soft mosses and a lot of sweet peat. You can actually smell the sea! After a few minutes, a hefty helping of vanilla is introduced. On the palate, it is slightly creamy and feisty on chilli peppers. The peat is much more pronounced now. You can actually taste the sea! Nice salty flavours, counter footing the sweet fruit. Towards the end, it turns somewhat bittersweet, leaving you with a finish on chilli and peat, slightly drying. Lovely and quaffable Bowmore. Thanks, Johan, for the sample! Bowmore's Tempest range is an annual small batch release of 10 year old malt and is non-chill filtered. This particular bottle is Batch No. 3. The packaging says it is like "straight out of a first fill Bourbon cask in our No. 1 vaults" (which, by the way, are below sea level!) It is also one of the more reasonably priced of the Bowmore non-core releases, and I've been dying to try it for years. Today, after seeing The Avengers at the Varsity Cinemas in Toronto, I found a bottle a a nearby LCBO. Lucky me! The colour is pale straw, and clings to the glass due to the high alcohol level (though I don't think it is cask strength). The nose is fantastic: wet grass, kosher salt, burnt rubber, hint of peat, orange pith. Water brings out more citrus. Lovely. The alcohol heat really hits you in the mouth, and carries along a long-dead campfire. The orange notes are replaced by a stronger lemon zing. Beautifully tart. Some iodine instigates the mouth-drying. More Islay peat in the mouth than on the nose, which of course I love. Water tames the alcohol and improves it nicely. I could hold this taste in my mouth forever, and I nearly can: the finish is long and musty, it fills your being with a citrusy smoke, sprinkled with nutmeg. This is a beautifully balanced, cohesive, delicious Scotch. This dram has exceeded my expectations. Bowmore 12 was one of my first Islay malts, and I believe this could be the only other Bowmore I've had, and I love it. It is young and it tastes young and in a very good way. Love it! @talexander, I really loved the sample of Bowmore Tempest that Pudge72 gave me, and would rate it just about as highly as you have. (Thanks again, Pudge!) This is one I haven't seen offered for sale in my area, though. "First fill" bourbon barrels still have a significant amount of the wood flavours left to give to the whisky. This is Bon Jovi playing Queens of The Stone Age, an X Factor contestant playing stoner rock…all scuzzy, oily, dirty rock and roll malt with its heart in the gutter. The cask strength is the whisky equivalent up to turning your amp up to11. It’s loud, proud and a savoury monster mash. One PR girl reckoned I didn’t like it. Hell, girl, this is Hunter S Thompson, Millwall, Neil Warnock, Liam Gallagher and Rab E Nesbitt rolled in to one. No, I don’t like it.. I love it! So we have batch 1 tempest in our Islay pack and we also tasted it at the 2010 festival when it was their feis ile bottling. 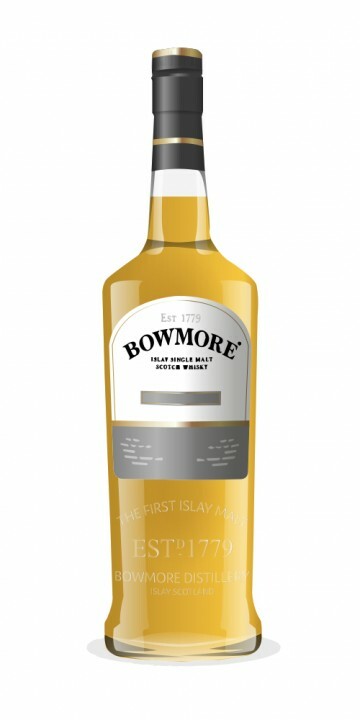 We were all big fans of the Batch 1, classic Bowmore flavours with more punch and peat. The Batch 2 was a lighter, sweeter affair. With this batch 3 they have gone right the other way, its a more full on peaty number. It is more old style peat (think Bowmore/Uigeadail hybrid) with a rough hit but tremendous length. The nose opens up a lot with water, and overall I prefer it slightly diluted. Initially I thought I preferred batch 1, but the more I have the less sure I am. At £40 a bottle I would say its worth a go, its going on my next order. @WTC Hilarious and great review. Love it, great review I wish I could write like that. Thumbs up! Nose: a minor, but negligible alcoholic burn, but not worth worrying about. Peat and wispy layer of smoke alongside cherries, dark red fruits and a little fudge. Palate: smokey and well spiced. A little sweetness but undeniable peat. There's a little citrus and vanilla and the smoke has gained a bonfire quality. There's great balance here. Finish: again smoke and spice, unfortunately for me, the finish just gives up a little too quickly. Overall, a great dram. Dom's notes "Nose: Spritely and spindly, with raspberry whirl in vanilla ice cream, some tinned pear riding over a dry smoke, cardamon and paprika base. But it's all fresh, spring-like and inviting. Palate: This is stunning and a whole new direction for Bowmore. It has two distinctive parts, both kicking out independently but wonderfully bound together and tumbling over each other in a whisky danse macabre. There's sweet, apple liqueur and fresh zesty malt on the one hand, intense peat smoke and battering ram chili on the other. It'll delight fans of class A Islay peat malts, but it has a soft and sweet smile to charm the pants off even the most cynical malt fan. Finish: More of the same, sugar and spice, and lots and lots of all things nice. The best Bowmore since I first tasted the 17 year old? I really think so..."
Pat says "Nose: Salt, ripe tropical fruit, liquorice, strawberry jam. A dash of water brings out a distinct hint of lemon skins. Taste: Dry. A big hit of citrus and a whiff of smoke." The first of the Bowmore Tempest releases, a very decent and well priced Bowmore expression that I personally find quite pleasing. In my opinion it is a few steps up from their regular expression line up. N:Light citrus over even lighter caramel, then smoke. Nose eventually gives way to large peaty notes accompanied by brine and light vanilla. B:Thin legs, semi-distant, smallish beads. Not muhc oil is present giving a little insight to the age (not entirely sure any caramel colouring is used as a factor). Colour is a light gold. T:Sweet smoke, medium warmth on the palate (cask strength showing through a bit), followed by touches of citrus followed by more peaty earthy goodness. Brine mingles with the smoke throughout. F:Mouth drying, along with orange peels, a slight lemon zest a more peat. The smoke settles for being the undertone here and hangs out in the background. Overall a very nice dram. I love this one for any peat woes, as it is an enticing sea breeze next to a peat bonfire. Please keep in mind this was the very first review I wrote in my notebook so it is a little sparse but soon to come are more in depth and experienced reviews. As well, if you have read this far, I am not too enthusiastic about "rating" whiskey. This being said, I will mark simply as follows: <50-Try before you buy, 50-60-Lacking decent qualities, 61-70-Standard Whisk(e)y in my opinion, 71-80-Quality Whisk(e)y but not mind blowing (still got your socks on), 81-85-Wonderful whik(e)y with a very well rounded profile, 86-93-Whisk(e)y milestone, 94-99-Socks have been blown off )100(-Unicorns are hard to find, but once and a while, they may be uncovered. If you've had the Bowmore 12 before, how would you compare the two? @michaelschout I will put up my review for Bowmore 12 tomorrow and I will do a little cross referencing for you and everybody else! Nose burns. Strongly phenolic and a touch of old birthday cake (it's yeast, relax dude). Flavours of bush tea, nettle and a touch of gym sock. Finish is long and spicy baby. Would pair very well with blue cheese (but no one can find any) This is really a fabulous scotch among the "uncommonly peated" varieties. I'm not saying it's Port Ellen 4th release (or Lagavulin 16 year old) but it is fantastic and young. This is a fair score, stop rating Bruichladdich Peat as 100 please. @chrisrbarrett, I have gleaned that the entry level Legend is uneventful, and I am not too keen on the Bowmore 12; assuming you have tried them, how would compare the Tempest to the other Bowmore expressions, or to other commonly available, and same category whiskies? Regarding the alcohol nose, I believe that in whisky tasting, you need to perhaps let the glass rest for a while. Also when you nose the dram, you need to back off from the whisky to the point where you don't experience the alcohol effect ... then you can appreciate all the aromas the dram has to offer. So it is not clear whether I should try the Tempest ... so far I don't know enough about it, and from past experience, my other Bowmores have been problematic. Any other testamonials ? @AboutChoice I would disagree with this interesting review, I shall soon put up my own. Age and price wise I believe this expression does great justice for the bowmore line. I would also have to disagree that the Lagavulin 16 be considered in the same boat, as the cask strength really gives it a double take, first at how it is quite the dram, and another for what you paid for something of such quality. Not to rave about it, but I think it would be in good interest to give it a try. Nose: a fresh mix of oranges and sea air. Nice and soft, citrus is the main component here. Then the floral notes appear, with hints of violets. Totally different than those soapy lavender Bowmores though. Strawberry candy! Some vanilla cream as well. Some maritime notes. Mouth: citrus again, but the peat kicks in now. Nice evolution with rather big salty notes, oranges and a nice bitterness. Earthy smoke. Some pepper. Finish: medium length on salt, iodine and slightly bitter green tea. I have not been a fan of recent official Bowmores, but the least you can say is that this is a nice surprise! The nose is very pleasant and this Tempest is a fresh, enjoyable dram overall. Very good value for money. Tempest is not bottled as one single cask but as a batch made up of several casks. This review is about batch n°1. I've also tried batch n°3 - it was just as good so I think you can rest assured whatever the batch number. Oh, I thought it were three single casks. Thanks for clearing that up. The Bowmore renaissance continues apace. Neat, his limited edition youngster, cask-strength and un-chill-filtered, starts with a beguiling mix of peat smoke, citrus and creme-caramel. The palate adds a little sweet ginger and cinnamon to the mix, and the long and pleasing finish ends on honey, wood-smoke and just the right amount of peppery spice. Adding water throws the spice and sweetness into the background while bringing the peat and wood influences more to the fore. Unusually though for a cask-strength offering, the Tempest is both more interesting and more enticing neat. It's also an alarmingly easy drinker for one so strong. You have been warned. The Tempest is a limited edition of 2000 or so bottles worldwide, and is my new favourite from the folks on School Street. My girlfriend found me a bottle of this in the states and got it for me for Christmas. Looking forward to enjoying a glass soon.